Insulin-like growth factor 1 (IGF-1) is a hormone in your body that’s absolutely critical for optimal physical and mental performance. It’s produced by the liver. And once it’s released into the bloodstream, it stimulates growth, regenerates cells, and helps your body recover and repair itself. It’s known to play an important role in childhood growth and development, and helps you build and maintain muscle throughout your entire adult life. It also powerfully supports your brain. Unfortunately, your IGF-1 levels drastically decrease as you get older, contributing to cognitive decline. Your levels can even drop when you’re young, especially if you’ve had a brain injury or developed a chronic health issue. Luckily, there are many different ways to optimize and increase IGF-1 levels. 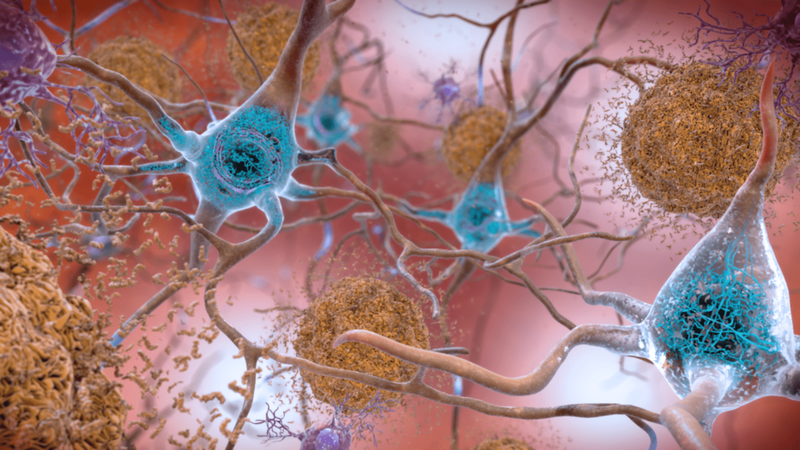 Researchers have found that IGF-1 levels can be manipulated to improve quality of life and delay the deteriorating effects of brain aging. The 25 strategies in this article can naturally boost IGF-1 production and amplify your cognitive performance. Continue reading to learn more and discover how to increase IGF-1. IGF-1 is a very important blood marker to monitor. Yet many doctors don’t check it. This is a shame because it plays a crucial role in healing and brain health. Research suggests that IGF-1 levels tend to be low in people struggling with chronic illness and systemic inflammation (87-88, 103). Studies also show that IGF-1 crosses the blood–brain barrier and affects the brain and cognitive function (113, 116, 129-131). Alzheimer’s disease and dementia are associated with lower IGF-1 levels, and increasing IGF-1 can help prevent the accumulation of amyloid plaque in the brain (104-108). Other neurodegenerative diseases, such as Amyotrophic Lateral Sclerosis (ALS) and Parkinson’s disease, are also associated with lower IGF-1 levels, and increasing IGF-1 can help lower your risk of developing these diseases (109-112). Many people who have had brain injuries also end up having low levels of IGF-1. This is because your brain signals to your liver to produce IGF-1. And when your brain gets injured, it can stop doing this efficiently (122-126). Research clearly shows that IGF-1 levels often drop after traumatic brain injuries (TBI), which worsens cognitive dysfunction. This even happens in people who have had mild TBIs. But strategies to increase IGF-1 can increase brain cell survival, repair the brain, and improve cognition after TBIs (117-121). I personally had low IGF-1 levels after multiple head injuries. But I had no idea for the longest time. I eventually found a doctor who actually listened to me, we checked my levels, and I found out they were low. I then implemented many of the strategies below to increase and normalize my IGF-1 levels, and I felt better. It’s important to test and monitor your IGF-1 levels like I did because you don’t want your IGF-1 levels getting too high either. Zinc is an essential mineral for brain health. Unfortunately, it’s estimated that 2 billion people in the world are deficient in zinc, and several studies show that even subclinical zinc deficiency impairs brain function (5-7). That’s a problem because a zinc deficiency decreases IGF-1 levels in humans (8). In one animal study, feeding a zinc-depleted diet to rats for 14 days resulted in a 28% decrease in IGF-1 compared with rats fed a zinc-adequate diet (9). Luckily, zinc supplementation can help. Researchers have found that supplementing with zinc significantly increases circulating IGF-1 levels, and increases the synthesis and action of IGF-1 in the body (10-13). I created and take the Optimal Zinc supplement to make sure my zinc and IGF-1 levels are optimal. I created it because I want to give my clients and readers the very best zinc supplement so that they can experience superior results. I have found that many zinc supplements on the market fall short. Optimal Zinc includes several other nutrients (co-factors) that increase the absorption of zinc. Besides supplementing, you should also eat plenty of healthy, whole foods that contain zinc. These foods are included in my Free Grocery Shopping Guide for Optimal Brain and Mental Health. Check out my previous post all about zinc for more steps you can take to increase your zinc levels. Eating enough high-quality protein is critical if you want to increase your IGF-1 levels. Research shows that low protein intake is associated with a major reduction in IGF-1 (69). Meanwhile, high-protein diets can increase IGF-1 levels (66-67, 71-72). Animal protein and red meat in particular has been shown to increase IGF-1 concentrations (68, 70). It's important to keep in mind that muscle meat (chicken breasts, lean beef) shouldn’t be your only source of animal protein. Our ancestors didn’t eat this way, so neither should we. Your body prefers and expects to receive a balance of amino acids from different parts of whole animals. That’s why I recommend “head-to-tail eating” – consuming a wide variety of proteins from the entire animal. Along with muscle meat, you should regularly cook and eat organ meats such as liver and bone broth. I personally don’t like the taste of liver and bone broth can be inconvenient to make all the time, so I often supplement with these grass-fed beef liver capsules and drink this high-quality pre-made bone broth. But if you’re actually interested in learning about how to cook and incorporate more whole animal proteins into your diet, I recommend checking out the book Odd Bits: How to Cook the Rest of the Animal by Jennifer McLagan. Taking extra Vitamin C is another way to increase IGF-1. As you probably know, Vitamin C is found in fruits and vegetables such as green peppers, citrus fruits, tomatoes, cauliflower, Brussels sprouts, broccoli, and cabbage. Researchers have found that higher dietary intake of citrus fruits and Vitamin C is associated with higher concentrations of IGF-1 (1). In addition to getting Vitamin C from fruits and vegetables, I take at least 500 mg of supplemental Vitamin C every day, just so I know I’m getting enough. I’ve taken up to 10 grams of Vitamin C daily, and it definitely improves my mood and reduces stress and anxiety. Eating lots of fruits and vegetables is a great idea if you want to improve your brain health and cognitive function. And blueberries are particularly potent because of the flavonoids within them. Researchers have found that blueberries improve memory by increasing IGF-1 (2). Besides that, blueberries also improve brain health by increasing BDNF and improving brain blood flow. I buy wild blueberries every time I go grocery shopping. They are included in my Free Grocery Shopping Guide for Optimal Brain Health. Alternatively, you can take a blueberry extract. I used to take this one. It’s actually cheaper in the long run that eating blueberries every day, but I just prefer eating actual blueberries. In fact, most researchers often use concentrated blueberry extracts instead of actual blueberries when they study the beneficial health effects of blueberries. Magnesium is a vital mineral that participates in more than 300 biochemical reactions in your body. Unfortunately, a lot of people are deficient in magnesium. This is a shame because magnesium is absolutely essential for optimal brain function. Research shows that magnesium levels are strongly and independently associated with total IGF-1 levels (14). And researchers believe that magnesium deficiency worsens the age-related decline in IGF-1 levels (15). Since most people are deficient, magnesium is one of the three supplements that I think everyone should be taking every day. I personally take this magnesium threonate supplement before bed. It’s the best form of magnesium for the brain because it’s very effective at passing the blood-brain barrier. Epsom salt baths are another great way to increase your body’s intake of magnesium. These foods are included in my Free Grocery Shopping Guide for Optimal Mental Health. 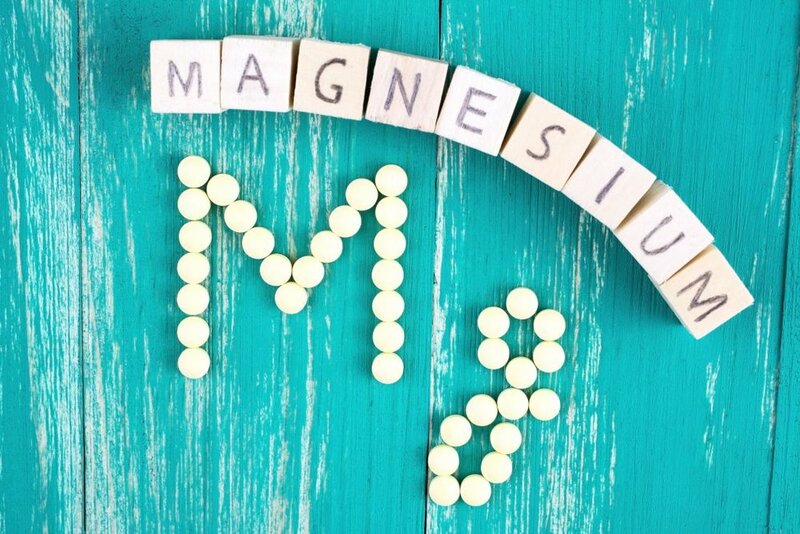 Magnesium also supports the blood-brain barrier, increases BDNF, and helps with the formation of new brain synapses. Selenium is an essential trace mineral that is important for many bodily processes that affect your brain and mental health. Studies show that there is a significant association between selenium and IGF-1 levels (16). Animal research has found that a selenium deficiency is linked to lower IGF-1 levels (17). And supplementing with selenium has been shown to significantly increase IGF-1 in elderly individuals (18-19). Brazil nuts are the richest dietary source of selenium, but it can also be found in wild-caught seafood, pastured chicken and eggs, and grass-fed meat. I also make sure I’m not deficiency in selenium by taking selenomethionine, which is a highly-absorbable form of selenium. Cinnamon is a tasty spice that has a number of health benefits. It has anti-inflammatory effects, it’s loaded with antioxidants, and it's even been shown to have beneficial effects on neurodegenerative diseases, including Alzheimer's disease and Parkinson’s disease (46-49). Researchers have also found that cinnamon extract significantly activates IGF-1 signaling (50-51). Not all cinnamon is created equal though. You’ll have to find and consume Ceylon, which is considered “true cinnamon”. It has the most health benefits. Most cinnamon in grocery stores is cheap and not actually Ceylon. You can usually find Ceylon in health food stores. It’s also available through Amazon. Vitamin D is a fat-soluble vitamin that your skin synthesizes when exposed to the sun. Unfortunately, researchers estimate that 50% of people are at risk of Vitamin D deficiency. 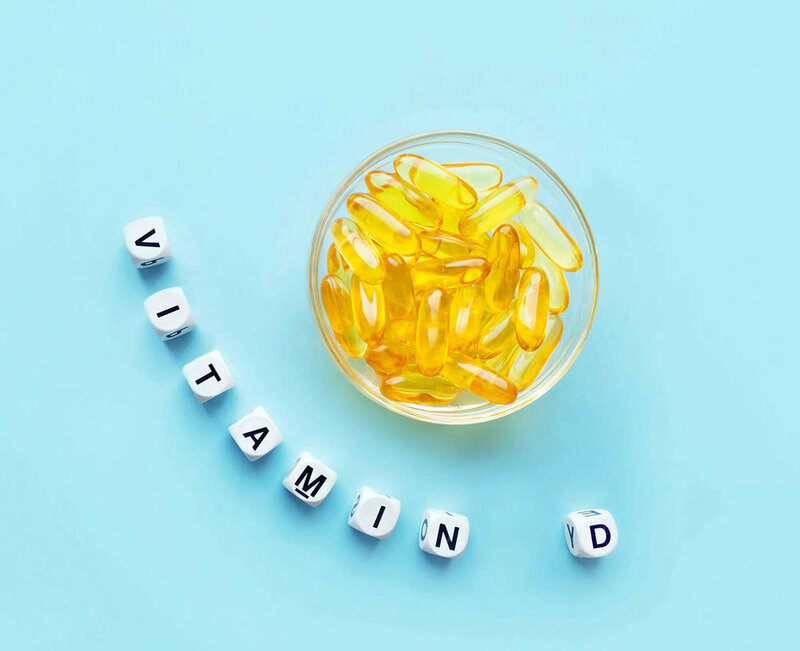 This is a huge problem because every tissue in your body has Vitamin D receptors, including the brain, so a deficiency can lead to costly physiological and psychological consequences. Research shows that Vitamin D significantly increases circulating IGF-1 levels in adults (25). Ideally, you should get your Vitamin D by going outside and getting sun. I try to get sunlight every day during the spring and summer months. But most people still don’t get enough Vitamin D from the sun, especially during the winter. During the winter months, when there isn't enough sun, I use this Vitamin D sunlamp. I also take this Vitamin D supplement as needed, depending on my blood test levels. Vitamin D is so critical for optimal brain health, so make sure to check your levels regularly. Thiamine, also known as Vitamin B1, is an essential water-soluble nutrient that cannot be made by the body. It’s used in nearly every cell in the body and especially important for supporting energy levels. Researchers have found that Vitamin B1 plays a key role in the IGF-1 system, and a deficiency leads to a significant drop in IGF-1 levels (27). Benfotiamine is the best supplemental form of Vitamin B1. It’s included in this B complex that I take. Healthy food sources of Vitamin B1 include green peas, beef liver, asparagus, pecans, spinach, sunflower seeds, macadamia nuts, oranges, cantaloupe and eggs. These foods are included in my Free Grocery Shopping Guide for Optimal Brain Health. The beneficial bacteria in your gut are known to convert the food you eat into short-chain fatty acids. These probiotic bacteria - and the short-chain fatty acids that they produce - play a critical role in the synthesis of IGF-1 in your body and brain. Research clearly shows that the following probiotics stimulate the IGF-1 system and increase IGF-1 concentrations (33-40). All four of these probiotics are included in the Optimal Biotics supplement. Meanwhile, antibiotics have been shown to decrease IGF-1 (41). Check out this older article for several other ways to increase your good gut bacteria. And if you struggle with anxiety, here are 9 probiotic strains that can help. Dehydroepiandrosterone (DHEA) is one of the most abundant circulating steroid hormones in humans. It’s produced in the adrenal glands, the gonads, and the brain, and it’s a precursor to other hormones, including estrogen and testosterone. It's also available as a supplement. DHEA has been shown to have neuroprotective effects, and it’s also known to improve memory and cognition. In one study, a 100 mg daily dose of DHEA for six months elevated IGF-1 levels in both men and women (3). You can get DHEA here. It's also one of the best supplements for reducing depression. Taurine is an organic compound found in food, particularly meat and seafood. Taken as a supplement, it can improve your mood and reduce your anxiety because it can cross the blood-brain barrier and increase oxytocin, dopamine and BDNF in the brain. It turns out that it can also increase IGF-1 levels and increase the synthesis of IGF-1 (42-43). Taurine is included in the Optimal Zinc supplement. Resveratrol is a beneficial antioxidant and anti-inflammatory compound found in grapes, red wine, raspberries and dark chocolate. It’s known to help prevent the development of neurodegenerative diseases. And researchers are starting to understand why. In one study, resveratrol was shown to improve cognitive function by increasing the production of IGF-1 in the brain (4). It’s also been shown to increase BDNF, synaptogenesis, autophagy and blood flow in the brain. To consume enough resveratrol to increase IGF-1, you’ll need to supplement with it. I take this resveratrol supplement to support the long-term health of my brain. I don't take it every day, just every so often. You can get it here or here. Leucine is one of three branched chain amino acids (BCAA). It's an essential amino acid, meaning you’ll need to get it from food or supplements. Athletes and bodybuilders often take it as a supplement because it helps increase energy, improve strength and build muscle. Researchers have found that leucine significantly increases IGF-1 and IGF binding protein (52). You can get leucine from protein-rich foods, such as fish, chicken and turkey. But you may want to supplement with it if your goal is to increase IGF-1. I take this BCAA supplement when I lift weights regularly. Astragalus is an adaptogenic herb that has been used for centuries by traditional Chinese medicine practitioners to support the immune system and reduce inflammation. There are more than 2,000 species of Astragalus, but usually Astragalus supplements simply contain Astragalus membranaceus. 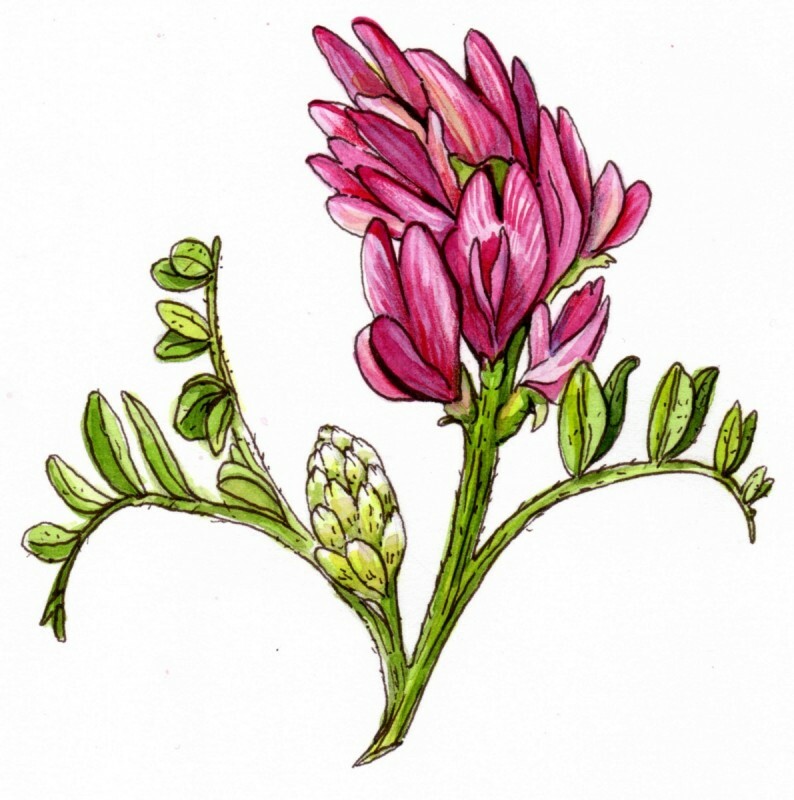 Astragalus membranaceus extract has been shown to significantly increase IGF-1 levels in humans and animals (53-57). It's available in many forms, including liquid extracts, capsules, powders and teas. Colostrum is a special kind of milk, also known as “first milk”. It’s naturally produced by the mammary glands of mammals immediately following the delivery of a newborn. It contains a number of different nutrients and growth factors, including IGF-1, that support the health and development of a newborn baby (58). Colostrum from cows (bovine colostrum) can be taken as a supplement by humans for its health benefits. Research shows that colostrum supplementation significantly increases circulating levels of IGF-1 (59-60). I take this bovine colostrum powder regularly. I would say it's probably the most important supplement I've taken to optimize my IGF-1 levels. Acetyl-L-carnitine (ALCAR) is an acetylated form of the amino acid carnitine. It’s been shown to have neuroprotective and cognitive-enhancing effects. It’s often used as a natural brain booster because it increases alertness and provides support to brain cells. ALCAR has also been shown to be very effective at alleviating chronic fatigue and improving mood. It helps reverse neurological decline and supports mitochondria function as well. It does so much, so not surprisingly, researchers have also found that ALCAR increases IGF-1 levels in humans (20). Animal studies also show that it increases IGF-1 levels in rats (21-22). I find that ALCAR personally gives me a big boost in mental energy and cognitive function. That’s why it’s included in the Optimal Brain supplement. Creatine is a molecule produced in the body and found in some foods, particularly meat, eggs, and fish. Creatine is also available as a supplement. Athletes, bodybuilders, wrestlers, sprinters often take extra creatine to gain more muscle mass. It’s an incredibly well-researched supplement and safe to take regularly. Supplementing with creatine can also support the brain. It's been shown to have neuroprotective effects and it rapidly produces energy to support brain cell function (23). In one study, healthy individuals took creatine every day for 5 days, and researchers witnessed a 30 per cent increase in IGF expression (24). When I’m lifting weights regularly, I take this creatine powder every day on an empty stomach. Ursolic Acid is a natural compound found in a variety of plants and herbs, such as apple peels, rosemary, thyme and holy basil. Apple peels contain the largest amount. In one study, supplementing with 100 mg of Ursolic Acid, three times daily, increased IGF-1 levels in humans by 22.8 per cent (62). Animal research also shows that it increases IGF-1 signaling and enhances IGF-1 receptors (61, 63). You can get pure Ursolic Acid through Amazon. Or you can supplement with the herb Holy Basil, which contains some Ursolic Acid. But it may not be as effective as taking pure Ursolic Acid. Hydroxy Methyl Butyrate (HMB) is a metabolite of leucine. It's also a dietary supplement used by athletes and bodybuilders to increase muscle strength and development. Studies show that HMB supplementation increases the expression and levels of IGF-1 (64-65). You can get HMB through Amazon. Coenzyme Q10 (CoQ10) is a coenzyme and antioxidant located primarily in the mitochondria. It has numerous known health benefits and plays a critical role in producing energy for the body. CoQ10 is produced within the body, but it’s also found within food and can be supplied to the body through food or supplementation. It resembles a fat-soluble vitamin. Meat and fish are the richest sources of dietary CoQ10, including beef, pork, chicken heart, and chicken liver. Nuts and some oils also contain some CoQ10. Research shows that supplementing with CoQ10 significantly increases IGF-1 levels (26). Ubiquinol is the best supplemental form of CoQ10 that is absorbed by the body. I took this one when I was on antidepressants and for a short while after coming off them. Low-level laser therapy (LLLT), or photobiomodulation, is a treatment that uses low-level (low-power) lasers or light-emitting diodes (LEDs) to stimulate brain cells, helping them function better. Dr. Norman Doidge, a psychiatrist and researcher who teaches at the University of Toronto, discusses the amazing effects of LLLT in his book The Brain’s Way of Healing. Several studies show that LLLT increases the expression, production and release of IGF-1 (28-32). I previously wrote about my experience with low-level laser therapy here. I use this device and shine the red and infrared light directly on my forehead. I also use the Vielight 810, which is an intranasal device with 810 nm of near infrared light (If you decide to try one of the Vielight devices, you can use the coupon code JORDANFALLIS for a 10% discount). Before trying LLLT, I highly recommend reading my full article about it first. Exercise is probably the best way to boost IGF-1 levels, as it also appears to “push” IGF-1 to the brain to improve its function. There are two main forms of exercise that you need to engage in if you want to increase your IGF-1 levels – high-intensity interval training (HIIT) and resistance training. Research shows that resistance training (also known as strength training or weight training) significantly increases IGF-1 and increases the bioavailability of IGF-1 (73). Intense and strenuous HIIT workouts cause a significant increase in circulating levels of IGF-1 (74). Besides increasing IGF-1, exercise can also induce autophagy in the brain, increase dopamine and BDNF, and increase blood flow to the brain. That’s why many doctors and researchers recommend exercise as their number one piece of advice for optimal brain health. Getting enough high-quality, deep sleep is very important if you want to increase your IGF-1 levels and improve your brain and mental health. I used to have very poor sleep and it was one of the main factors that contributed to my low IGF-1 levels and poor cognitive function. Sleep deprivation is known to suppress IGF-1 in humans and animals (75, 78-79). Meanwhile, sleep extension significantly increases IGF-I concentrations (76). In one study, researchers found that increased deep sleep is associated with higher levels of IGF-1 in healthy older men (77). And in another study, improving the sleep quality of military personnel led to a significant increase in their IGF-1 levels, and a significant reduction in their symptoms of depression and PTSD (80). So, it’s not just the length of your sleep that matters. It’s also the depth and quality of your sleep. If you’re having trouble with sleep, try this sleep supplement. It contains magnesium and other natural compounds that I’ve used over the years to promote deeper and more restful sleep. Reducing inflammation throughout your entire body is a key step towards increasing your IGF-1 levels naturally. Research clearly shows that proinflammatory cytokines inhibit and impair IGF-1 bioactivity, and induce a state of IGF resistance (81-85). There are many causes of chronic inflammation, including infections, mold, brain injuries, and leaky brain. But one of the most common causes – and the one you have the most control over – is your diet. That’s why I recommend following an anti-inflammatory diet and avoiding foods such as gluten and dairy that can trigger inflammation in the gut and brain. You should also remove processed food from your diet, and increase your intake of vegetables, fruits, wild fish, grass-fed beef and organic chicken. Check out my Free Grocery Shopping Guide for Optimal Brain and Mental Health for a full list of anti-inflammatory foods. Other steps you can take to reduce inflammation include reducing stress, exercising, improving gut health, treating infections and getting enough sleep. 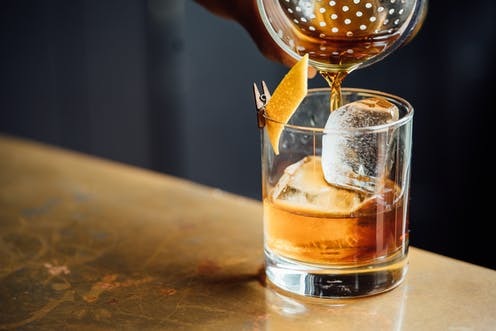 Alcohol is a neurotoxin that wreaks havoc on the brain by raising cortisol levels, disrupting the blood-brain barrier, and increasing inflammation and oxidative stress. It also lowers your IGF-1 levels. Researchers have found that high alcohol intake inhibits IGF-1 (86). There are ways to protect your brain from alcohol, but you’re better off avoiding it completely or significantly reducing your consumption if you’re trying to heal. I personally don’t drink alcohol at all anymore. If you do decide to drink it, this post explains that some types of alcohol are better than others. When it comes to improving your health, some of the simplest strategies can have a huge impact. Using a sauna regularly is one of them. Research suggests that daily sauna sessions can significantly increase the production of growth hormone and IGF-1 (44-45). This sauna is the best low-EMF, infrared sauna on the market. Once you start using a sauna, you should listen to your body to determine how much time you should spend in it. Start out slowly and increase the length of your sessions over time. Also, make sure to drink lots of water before and after each session, and never consume alcohol in combination. Check out this post to learn more about saunas and the 13 ways they can improve your brain and mental health. Enjoy This Article? 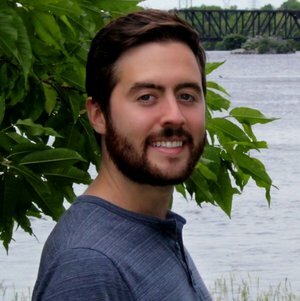 You Might Also Like My FREE Food Guide for Optimal Brain and Mental Health! Sign up for my newsletter and join the 90,000 readers who are using my practical solutions to improve their brain and mental health. You’ll get exclusive access to tips and insights that I only share with subscribers. I respect your privacy and will never share or sell your email. Please check your inbox because you just received a very important email from me. Then connect with me on Twitter and Facebook because I share a lot of cutting-edge research through there. Sign up for my newsletter and join the 90,000 readers who are using my practical solutions to improve their brain and mental health. You’ll get exclusive access to tips and insights that I only share with subscribers.